Both Xiaomi Redmi Note 6 Pro and OPPO F9 comes with same RAM.Neither of them has front Flash. In terms of display resolution, OPPO F9 has better resolution of 2340 x 1080 than Xiaomi Redmi Note 6 Pro which has resolution of 2280 x 1080. Both have the same amount of internal memory. The launch Date of the first phone is November, 2018. The cost of Xiaomi Redmi Note 6 Pro is Rs. 11999. The launch Date of the second phone is September, 2018. The cost of OPPO F9 is Rs. 15799. 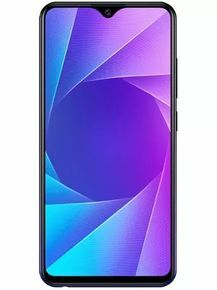 OPPO F9's 16 MP + 2 MP Dual Rear Camera outshines Xiaomi Redmi Note 6 Pro's 12 MP + 5 MP Dual Rear Camera in terms of resolution. Xiaomi Redmi Note 6 Pro will be better choice if you're looking to click lot of selfies as it has better 20 MP + 2 MP Dual Front Camera in comparision to OPPO F9's 16 MP Front Camera.